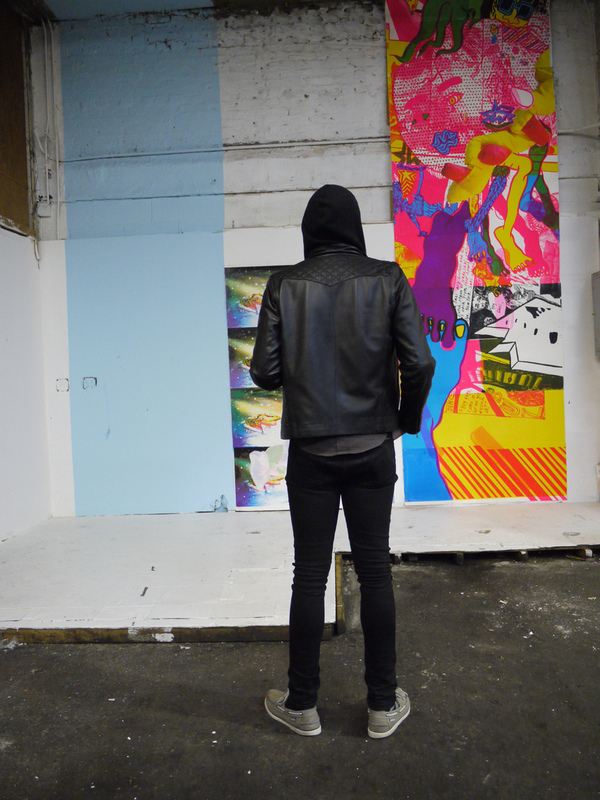 Say Hi to Kristin Reger, a post-chicago artist who will be now and then covering Chicagoish art events in New York. Curious about the funky ad for RADAR EYES I’d seen on the back of the most recent Lumpen magazine, I asked Kristin to talk about the show, which she co-curated in New York and which featured plenty of Chicago artists. 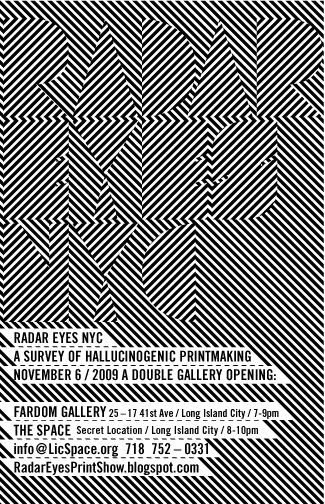 RADAR EYES is an exhibition of “Hallucinogenic Printmaking” on view through December 30 at Fardom Gallery in New York. 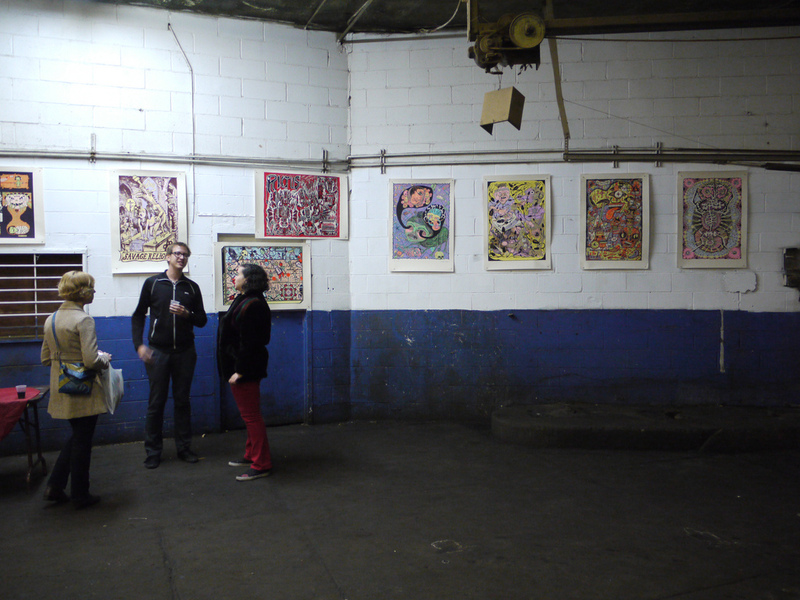 The traveling exhibition, brainchild of Montreal’s prolific screenprinting duo Seripop, debuted in 2008 as a curatorial collaboration with Chicago gallerist Reuben Kinkaid at the Co-Prosperity Sphere in Bridgeport. The 2009 incarnation of the RADAR EYES features a selection from over 50 artists and includes highlights from Le Dernier Cri (France); Zeloot (Holland); Sakura Maku (New York); Danimal (Minneapolis); Xander Marro and Lief Goldberg (Providence); and Chicago’s Cody Hudson, Dan Grzeca, Sonnenzimmer, Delicious Design League, and Plural. Check out the images below, or the Flickr gallery here. 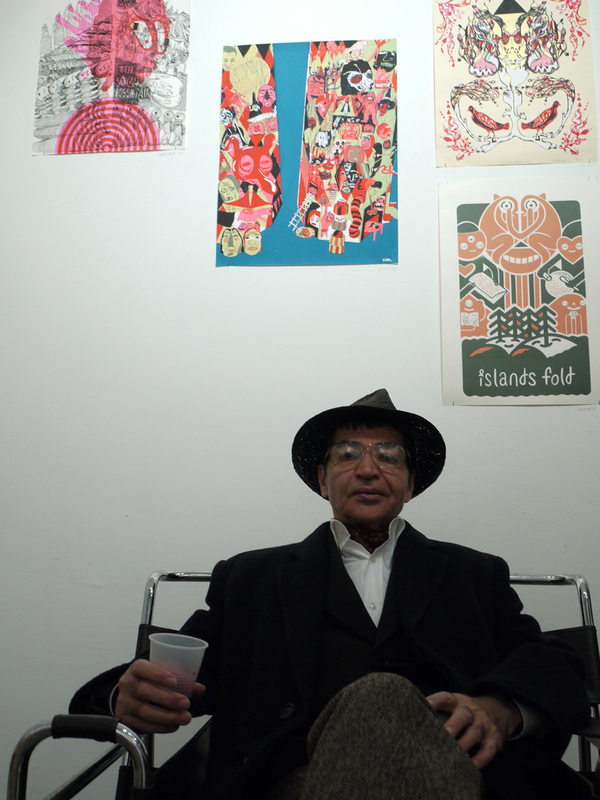 For the jet set, check the show until December 2nd out at Fardom Gallery, 25-17 41st Avenue, Long Island City.